Basil Bernstein is arguably one of the most important educational theorists of the late 20th century. Whilst most academics and students in sociology of education know of Bernstein, few can claim to fully understand the scope and power of his work, which simply cannot be matched by any of his contemporaries. This book, written by a team of international contributors, offers an insight into the richness and depth of his theories. It demonstrates the growing recognition of the value of Bernstein's work to understanding unfolding developments in education systems around the world today. 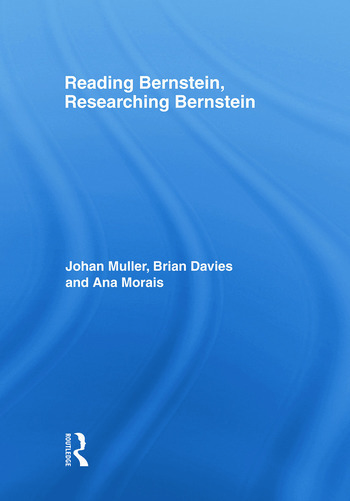 This comprehensive text will show the international academic community in education and sociology - as well as students on education, sociology, sociolinguistic and social pyschology degrees - how to read and use Bernstein. Johan Muller is a Professor at the School of Education, University of Cape Town. Ana Morais is Professor at the University of Lisbon.